Thanks to Thai PBS TV for helping us speak out about our dreams and community. Our journey was featured on Thai PBS of Khon Kla Fan section on Sunday, February 26 and video of the program can be viewed here. 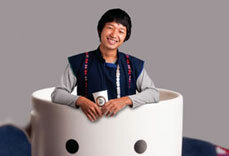 Lee Ayu Chuepa is the founder of Akha Ama Coffee, a ‘fair-trade’ coffee that has warmed the hearts and palettes of many. 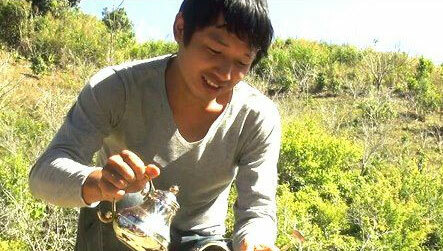 Lee was born in Mae Chan Tai in Chiang Rai, and brought up in an Akha village. “I’d never been to the city as a kid,” says Lee, “but I told my parents I wanted to study.” And so Lee began his journey. At first at a temple in Lamphun, where he learned to speak Thai and some English, and later onto university, a feat none in his village had ever achieved. 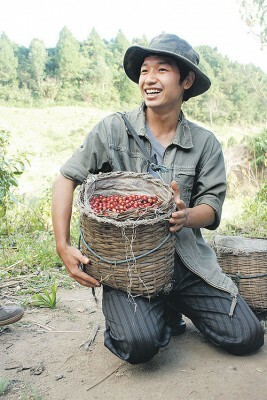 Dear friends, Akha Ama Coffee is mentioned in the Bangkok Post on Sunday, October 16, 2011 in the Spectrum Section. Many Thanks to Phil Thornton for his writing and the Bangkok Post newspaper for publishing our story. Many thanks to The Wall Street Journal for publishing our story. 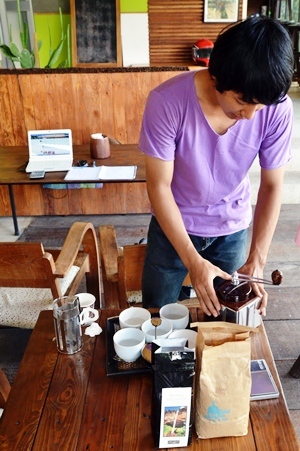 We are very appreciative of being featured in the article Where to Get Caffeinated in Thailand. Many thanks to Chiang Mai Mail and Shana Kongmun for speaking out for us.